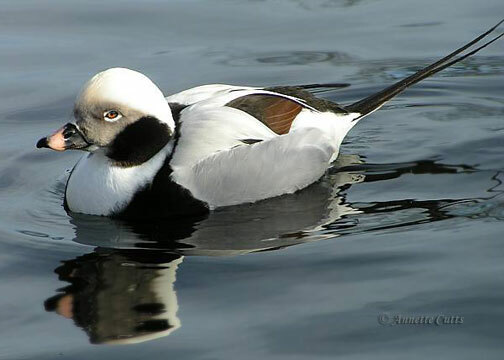 The Long-tailed Duck spends all its life in the sea. Only in the summer will the bird fly to dry land, in order to construct a nest. 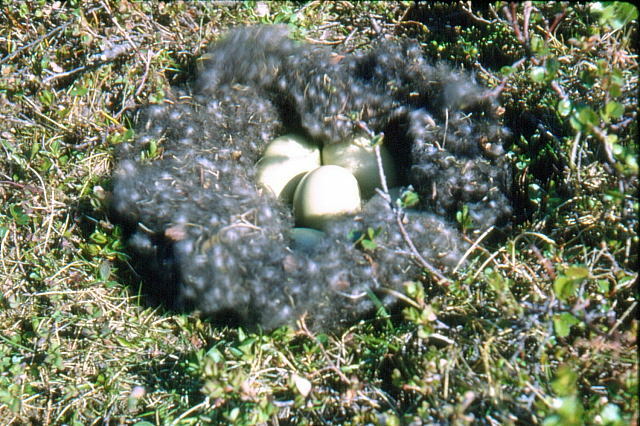 Unlike other species of Northern ducks, the Long-tailed Duck nests in territories far to the North. In North America, this bird is sometimes called “old squaw” because their voice reminds of an old American Indian woman singing. This species nest in the arctic tundra in Scandinavia, Northern Russia, North America, Iceland and Greenland. Long-tailed Ducks are known to be excellent divers – when hunting, they can stay underwater for up to 60 seconds and dive as deep as 50 metres. Another characteristic unique to these ducks is that they change their plumage three times a year, both male and female individuals. They’re generally white, with single-coloured brown to black wings, while their size is 40-55 cm in length and their wingspan is 73-79 cm. In April, males change their prominent winter plumage to a much darker coat. 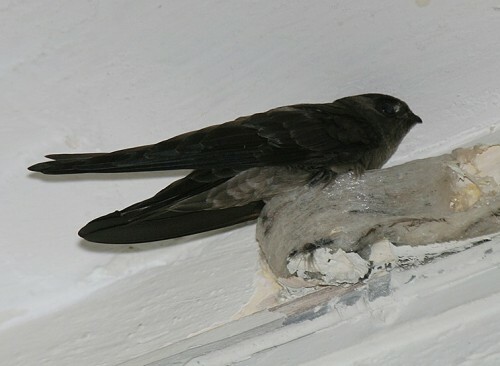 In July, they also lose their flying feathers and are unable to fly until new ones grow. In September, they get a coat for Fall, while a few more months later they’re back to the spectacular winter plumage. This is done to obtain great camouflage in the environment, changing colours with every season, while the winter suit is especially spectacular in order to charm female individuals. Long-tailed Ducks are sociable birds that live in groups of 50-100 individuals. In the day, they fly around in the sea, looking for food – crustaceans, snails, mussels, shrimps and small crabs. Before diving, the duck jumps in the air and quickly nosedives, using wings to row underwater. Individuals of the group often dive simultaneously and quickly clear out a water area of all available food. When on dry land, the Long-tailed Ducks feed on bugs and larvae as well as a variety of crustaceans. These birds nest near small lakes in the arctic tundra, in river deltas and fjords – in places where the snow partially melts during the warm season. When flying to their nesting areas, the ducks gather in massive groups. Upon arrival, most of the birds have already found a mating partner. The female constructs a nest from mud and plants, and starts laying eggs – up to 9 eggs can be laid. At the same time, males gather together near the shore and change their spectacular winter plumage to one that offers better camouflage. Chicks hatch after 24-29 days and after 35-40 days they can fly. Long-tailed Ducks are not endangered, as they hold a population of more than 10 million specimen. However, tens of thousands of these birds die in polluted waters, an especial threat being oil pollution.